Turn a tire into a pedestal for your horse! Get a large tire that is a good size for your horse. Measure the tire and cut a sturdy piece of plywood into a circle that is the circumference needed. Cut a circle of a thick sheet of rubber slightly wider than the plywood circle and staple the rubber in place around the edges of the circle. Attach the platform on top of the tire with screws. 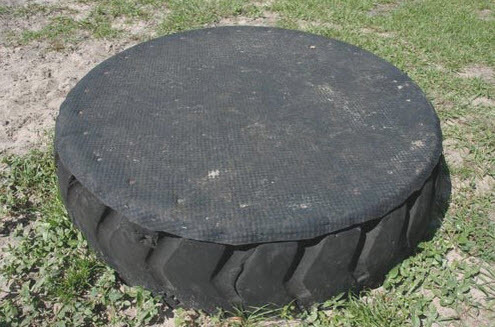 Build a wood frame to fit inside the tire and attach the frame to the bottom of the platform.